Amidst the Islamophobia, that we observe existing in the world at large, there is always a need for the Muslim communities to keep working hard towards eradicating such mindset and bigotry. There are such impactful efforts (big or small) being made by Muslims. They are individuals and in groups who have been contributing their share, in fact, more than their share in spreading awareness about Islam. These practicing good-example of Muslims are showing and proving it to the non-Muslims around them what Islam really teaches us; it is the lesson of peace and harmony. Yes, we hear this statement as the only reply when accused of terrorism, barbarism and all sorts of wickedness. 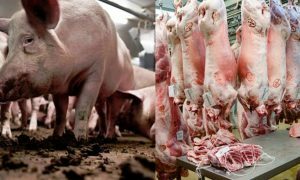 Why the same reply about peace? because it is exactly what religion is about. The word ‘Islam’ itself is derived from its Arabic root word ‘Salam’ which means ‘peace’. These accusations that an average Muslim or Muslims all-together have to face are baseless and untrue. Why So Much Hate and Hate-Crimes Against Muslims? Why must a few, a FEW lunatics that carry out mindless acts have to represent a population of nearly 1.8 billion Muslims? And why does the good work that is carried out by the countless majority of Muslims is never promoted, appreciated and accepted? There is definitely a strong prejudice against the religion and its followers. But what is saddening, is that people who carry such hate within them, do not take the time or make the effort to check the authenticity of the fake news that they hear; the propaganda that they so willingly become a part of. It is as if they choose to stay blindfolded by their media, their governments and sometimes, their own religious preachers. According to the website islamophobia.org, Which is a project run by the Council on American-Islamic Relations’ (CAIR) Department and their aim is to fight against Islamophobia, have some statistics to prove the injustice Muslims face on the basis of their religion. We Muslims have always been peaceful, kind, caring and charitable. Our religion instills some of the best qualities a human should possess. They include tolerance, patience, and resilience in the face of adversity. Our Prophet Muhammad(S.A.W) was sent to us as the perfect example of what a human being and a Muslim should be like. If every person just tries to keep their anti-Muslim bias aside and with an open mind read the biography of our beloved Prophet (P.B.U.H), they will understand what Islam truly stands for. 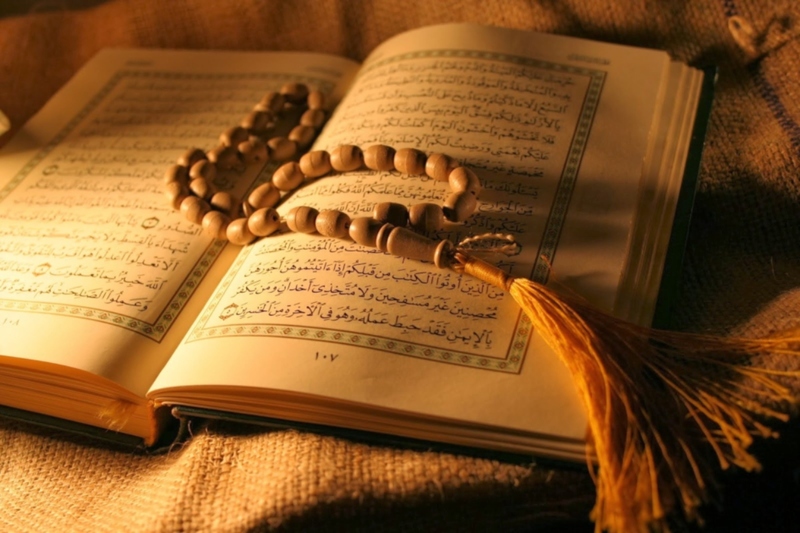 The book of Allah, Qur’an Al-Kareem, which the entire Muslim population follows; There have been numerous occasions where Allah(SWT) speaks of peace. Our God orders us and teaches us about the very aspect which we are accused against of, that is, being hostile. Here are the Quran verses about peace. Allah(SWT) strictly prohibited the Prophet Muhammad(S.A.W) and the followers of Islam to insult any other religion, the different gods and deities they follow. As a disrespect towards another only comes back to you and in this case the lord Muslims bow to. Whereas, in the current state of the world, all sorts of insults are hurled towards Islam, Allah(SWT) and our beloved Prophet. What more proof does Islamophobic people require then this direct order mentioned in the Quran from the most high and mighty, given to the Muslims. It states that Allah made humans in different communities that follow different religion to test us. The Almighty tells us Muslims to accept other religions and their communities with an open heart and compassion; to only compete with them in goodness. In Islam, fighting in the light of the above verse, is only permitted as an act of self-defense. Muslims are prohibited from any kind of oppression and aggression. Throughout the Quran, we have verses condemning violence and war. 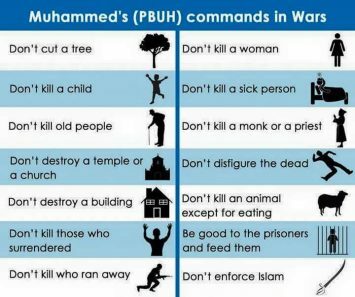 If it is to happen, then Islam teaches proper conduct with which Muslims should abide by during wars. The God that teaches the Muslims to distribute food among the needy, the wretched, the orphans and the captives of war doesn’t promote violence and aggression. When in fact, in the Quran He clearly mentions his dislike towards violence and people who indulge in such cruelty against humanity. In fact, He has asked to give food with the intention of doing so for Me (Allah the Almighty) and wish nothing in return, not even a thank you. Such selflessness is the teaching of Islam. On the other hand, our beloved Prophet Muhammad(S.A.W) has guided the Muslim Ummah on war ethics. What is permissible and what should a Muslim refrain from during the war. The religion of peace gives every human being the right to be, to exist on their own term. Yes, a true believer would put themselves in line with the teachings of the Prophet and the commands of Allah(SWT). But in case if they choose to divert from the Islamic route, there is no restriction or punishment at the hands of another human. Allah has given everyone a free soul that will be held accountable on the day of judgment. Allah also has not given another Muslim the power or the right to punish them for not believing. Instead, Muslims are asked to show kindness, love, and compassion towards the non-believers. Instead advised to simply invite others to the religion of peace. Our Prophet Muhammad(SAW) inspired non-Muslims with his beautiful personality and this is the best way.